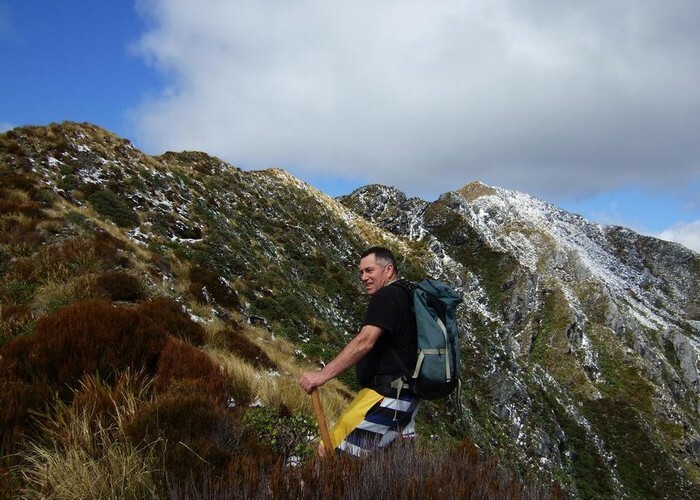 A route from SH73 at Grahams Creek, Turiwhate up to the tussock tops from where you can continue to the Turiwhate trig beacon or other high points on the Turiwhate Range. Great views are to be had from the crest of the range. It sits between the Taramakau and Arahura Rivers northwest of the Griffin Range. Wild goats are often seen when walking this track. Turiwhate tops Sept 2013 • By glennj. Licence: C.
Grahams Ck bridge, SH 73, Turiwhate, Westland. Highpoint 1373m or the trig beacon on highpoint 1368m if you don't wish to continue to the highest point. Some people may only want to go as far as the main ridge which commands excellent views. Allow a full day for the return trip by the route described. Even though the return trip is only about 8.5km in map distance & the route is ok it is quite time consuming because of the steepish climbs, ups and downs & total altitude gain involved. 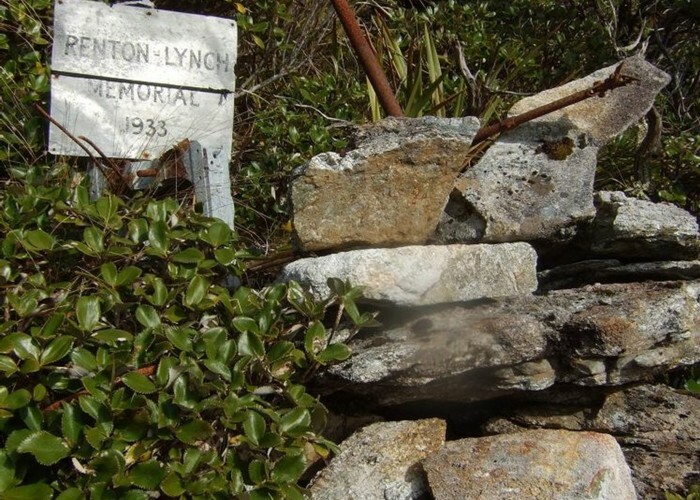 Plane Crash Memorial Mt Turiwhate • By glennj. Licence: C.
The first 500m is beside or in the creek. An unsignposted cut and taped route starts inside the scrub edge on the TR of the Grahams Creek bridge. After a few hundred metres the track starts following an alkathene water line & heads on to the creek bed. Continue upstream in the creek bed above the water intake until reaching a sign post marking where the track to the tops leaves the creek bed. Follow the track from the sign up into the bush on the TL of the creek. There is now a mix of old & new permolat as well as tape all the way to the tussock. (An often steep couple of km) In this section bait pot lines for poisoning possums are sometimes beside/on the track. Be careful not to follow the "bait pot lines" where they diverge from the track. Above the scrub zone there are two wooden stakes with permolat on them marking strategic turnoffs to make when descending to the start of the cut track. Once in the tussock and rock zone continue climbing until you crest the main ridge at about 1120m. From here head SE along the ridge towards points 1368m and 1373m. There are ups and downs and a couple of places where it is easier to sidle rather than stay on the ridge crest but all in all it is mainly a walk with just a little scrambling. Added 5 April 2014 by glennjglennj. 3 revisions, most recently 31 July 2015 by glennjglennj. 348 views in the past year (29 per month).